Serving as the best all rounder for the Cinematic line of Samsung soundbars, the HW-Q60R with Acoustic Beam technology is the perfect partner for the 2019 QLED Q60R series televisions. Improved upon further by Harman Kardons 65 Years of audio expertise helping to deliver a truly stunning audio experience. The Q60R is a beautiful 5.1 Channel sound solution from Samsung including 2 Acoustic Beam ports which can control where the sound appears to be coming from allowing a premium panoramic surround sound experience. A total of 8 speakers along with the powerful wireless subwoofer work to control the incoming signal to reduce distortion and provide a superior sound experience. The two Acoustic Beam speakers also work to broaden the sweet spot experience. High Definition Audio is next big audio focus for digital devices and the HW-Q60R is ready to deliver studio quality that is even better than CD. 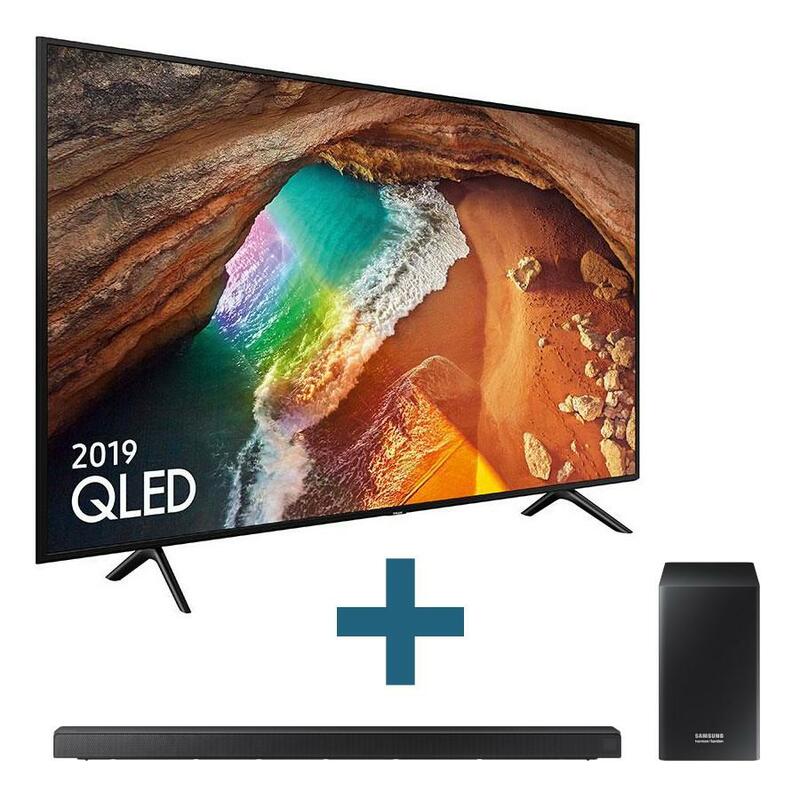 Connecting the HW-Q60R to your Samsung TV is as simple as connecting power and pairing up the sound bar to the television via Bluetooth which is just a single touch of a button. No additional wires meaning that this is one of the cleanest setups on the market.